Thorndike Press Large Print, 9781432846718, 550pp. Kathleen Ernst is an award-winning and bestselling author, educator, and social historian. She has published over thirty novels and two nonfiction books. Her books for young readers include the Caroline Abbott series for American Girl. Honors for her children's mysteries include Edgar and Agatha Award nominations. 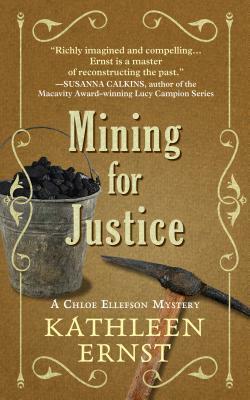 Kathleen worked as an Interpreter and Curator of Interpretation and Collections at Old World Wisconsin, and her time at the historic site served as inspiration for the Chloe Ellefson mysteries. The Heirloom Murders won the Anne Powers Fiction Book Award from the Council for Wisconsin Writers, and The Light Keeper's Legacy won the Lovey Award for Best Traditional Mystery from Love Is Murder. Ernst served as project director/scriptwriter for several instructional television series, one of which earned her an Emmy Award. She lives in Middleton, Wisconsin. For more information, visit her online at KathleenErnst.com.